Every Full Moon symbolizes a culmination in the cycle of tension between cosmic opposites -- things like good/evil, male/female, and yin/yang. The Full Moon in watery Pisces on September 6, 2017, fills our hearts with compassion by melting away the illusions of separateness. We are all flood victims, even if we don't live in Houston or Mumbai. But, once we step beyond our local points of view, we are also subject to fantasy and deception. It's more challenging to know what's real when we venture into imaginative dreams. 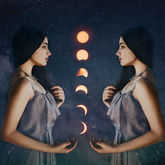 Ultimately, the Pisces Full Moon pits the Virgo Sun's egoic drive for efficiency against the soul's need for spiritual connection. It's true that dreamy Pisces can be prophetic and intuitive, yet it can also be fearful and confusing. Nevertheless, we must also remain practical as the earthy Virgo Sun narrows our perspectives and bring us each back to the pressing matters in our individual lives. Conflicting cosmic messages are strong during this Full Moon, as the detail-oriented Virgo Sun focuses our thoughts while the Pisces Moon joins nebulous Neptune to soften our resolve. Establishing healthy boundaries is hard work, yet our fuzzy thinking inspires us to imagine alternatives that previously seemed impossible. Luckily, action-hero Mars and clever Mercury are harmoniously trine to electric Uranus at the time of the Full Moon, shocking us into awareness. Intelligence is poised to overcome ignorance. Change is not only possible, it's inevitable -- and it's going to happen fast! Heal your soul at this powerful Full Moon with a personal Self-Healing Tarot Reading now. Utopian dreams lure you into a world of fantasy but once you swing into motion your competence surprises everyone, most of all yourself. Your imagination is running wild as the Pisces Full Moon floods your 12th House of Escapism. You can keep your visions to yourself or you can share them freely. Just remember, anything is possible if you put your mind to it. Frank Lloyd Wright said, "I know the price of success: dedication, hard work and an unremitting devotion to the things you want to see happen." Maintaining the depth of a primary intimate relationship is rather tricky when you're trying to balance your one-on-one connections with your place in your community. Although the Pisces Full Moon lights up your 11th House of Networking, social media is not a substitute for face-to-face contact. Consider what you would say in person if you could raise any topic at all. The only thing holding you back is you. Goethe wrote, "For a man to achieve all that is demanded of him he must regard himself as greater than he is." Let your intuition, not your reason, be your guide. But trusting your instincts doesn't mean you can skip out on your worldly obligations as the Pisces Full Moon shines in your 10th House of Public Responsibility. You know what you must do to fulfill your promises. Within that framework, allow your fantasies to reveal a new path that can carry you into a brighter future. Albert Einstein said, "Imagination is your preview of life's coming attractions." You're being asked to reach further than ever in your quest for meaning. But exploring new possibilities at home or at work doesn't negate your need for emotional security. Nevertheless, the Pisces Full Moon brings magic to your 9th House of Distant Horizons, urging you to extend your vision beyond your mundane concerns. There's no reason to resist the temptation to fantasize about things you never thought possible. Thankfully, you're not required to act on every dream; however, imagining your life without the restraints of reality could open doors that previously remained closed. You have choices to make that will determine the tone of your life for the next couple of weeks. No longer must you demonstrate your dominance in the outer world; the Pisces Full Moon illuminates your 8th House of Transformation, shifting your focus inward in a search for deeper meaning. Nevertheless, external changes accompany your current spiritual work as deep emotional regeneration impacts all of your relationships. Deepak Chopra wrote, "When you struggle with your partner, you are struggling with yourself. Every fault you see in them touches a denied weakness in yourself." Although you are determined to execute your agenda exactly as you imagined it, you are likely to run into complications. It might seem as if people are derailing your plans on purpose but you may be the real cause. The imaginative Pisces Full Moon reflects your 7th House of Others as they share their hopes with you. But it's not their words that distract you from your current work; it's your unfulfilled dreams that resonate so loudly you want to leave your responsibilities behind. Dr. Harriet Braiker wrote, "Striving for excellence motivates you; striving for perfection is demoralizing." You wish that your unfinished chores would somehow tie up their own loose ends, so you didn't have to worry about them anymore. In fact, you might find it difficult to concentrate on your job while the Pisces Full Moon fogs your 6th House of Logistics. You may attempt to stick to your to-do list, but can't narrow your vision enough to shut out your dreams. However, it's much easier to fulfill your current obligations once you realize that completing a specific task will free you up to pursue less mundane goals. Oprah Winfrey said, "You can have it all. Just not all at once." Romantic fantasies may be the source of sweet enchantments or fearful visions. 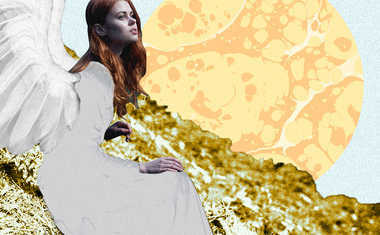 You can dream of idealistic futures while the psychic Pisces Full Moon shadows your 5th House of Love and Creativity. But your thoughts could also take you to darker and more complex places, too. The key to optimizing the power of your imagination is observing the fruits of your mental wanderings without being hooked into manifesting any one outcome. Practice detachment by pretending you're at the movies. Enjoy the magic of your mind without becoming a slave to its desires. Although you Archers are known to travel the world in search of adventure, you might be happily surprised to find your next destination close to home. The intuitive Pisces Full Moon conjures up dreams in your 4th House of Security, encouraging you to expand your horizons without venturing far. Although you must meet your social and professional expectations, there are no limits to where your spirit can wander. Poet Rainer Maria Rilke wrote, "The only journey is the one within." No matter how compelling your goals are, you might let them slide for a day or two while you explore less practical matters. The Pisces Full Moon shimmers in your 3rd House of Distractions, temporarily luring you away from your chosen path. But all is not lost; there are many ways to find satisfaction, and feeding your soul with intangible fantasies can bring a smile to your heart. Dr. Albert Schweitzer wrote, "Success is not the key to happiness. Happiness is the key to success. If you love what you are doing, you will be successful." Uncertainty about money matters adds to the complexity of a relationship, especially if the consequences of a current decision affect someone else, too. It's not easy to reconcile the actual dynamics with your dreams as the metaphysical Pisces Full Moon lands in your 2nd House of Possessions. You might adhere to spiritual beliefs about your finances, but the fallout is quite mundane. Consider what you need versus what you want. 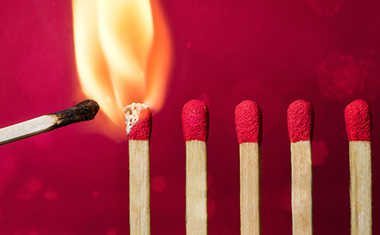 The Roman philosopher Seneca wrote, "It is not the man who has too little, but the man who craves more, that is poor." It seems like everyone is on your case, telling you to be more practical in your thinking. But you're unwilling to acknowledge that your dreams are an escape from reality. In fact, the spiritual Pisces Full Moon stirs the waters in your 1st House of Personality, inspiring you to become a more self-actualized version of yourself. Don't allow other people to limit your potential if they criticize you for following your heart. Poet Henry Wadsworth Longfellow wrote, "We judge ourselves by what we feel capable of doing, while others judge us by what we have already done." September 2017 Horoscope: You're a Productive Powerhouse!